While the Federal Government faces some tough decisions on everything from healthcare to a balanced budget (neither of which appear achievable) it has finally started to take the right position on mobile home parks and their important role in affordable housing. The expanding role of Fannie Mae and Freddie Mac in financing mobile home parks under the “Duty to Serve” directive, as well as H.R. 3700 (passed into law but not yet enacted) which will allow Section 8 vouchers to be used to buy mobile homes, are important steps forward to promoting and supporting the mobile home park industry. We are pleased that Congress and the respective branches of the U.S. government have finally realized that, unlike multi-family which they have supported for decades, our industry is the only non-subsidized solution to the affordable housing crisis. And, of course, you cannot truly be a solution and be subsidized, since you are simply transferring the cost from the resident to the American taxpayer. We look forward to more of these programs going forward! 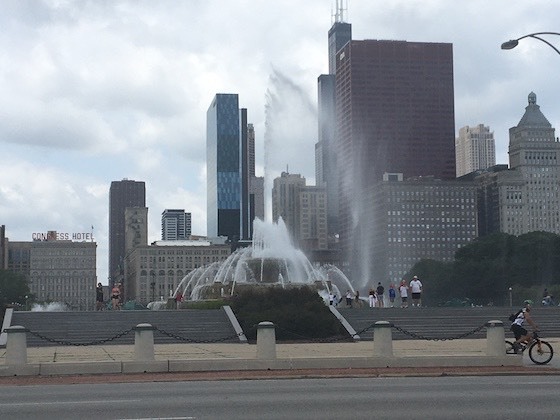 This is the Buckingham Fountain in downtown Chicago, a city with a metro population of 9,551,030. While that’s the third largest population of any city metro in the U.S., it’s about 100 times larger a metro than you typically need to do well with a mobile home park. And we’ve learned this from twenty years of buying, running and selling mobile home parks in over 30 states. So what size metro do you really need for a mobile home park to be successful? What is a “metro” area? It’s a combination of a number of smaller cities that have a collective population due to a geographic concentration. But even a giant metro like Chicago is really just a diesly-dispersed number of abutting cities of around 100,000 to 200,000 population. As a result, when you buy a mobile home park in Chicago, you’re not really buying into the whole city but a tiny fragment of the market. You’re investing in Cicero, Aurora, or Joliet, not just macro Chicago – so you’re success or failure is based on the actual city or town you own in. We have found that a 100,000 metro population offers a huge number of employers, a strong Chamber of Commerce, a giant amount of housing demand, a sophisticated City Hall with strong leadership and safe public services, a large school district, and a marketing presence. In a metro of 100,000 you will have all known franchises and big-box retail, as well as several hospitals, typically some form of higher education offering (a college or junior college), and a diverse employment base. One of our most successful mobile home park investment was in a town in Iowa with a metro population of around 100,000. It had incredible demand, high competing home prices, the ability to fill vacant lots and sell homes to qualified consumers, and a solid position in the community. We sold it at a cap rate that would rival any sale in Chicago (and the buyer had plenty of upside even at that price, unlike perhaps some Chicago neighborhoods). Over and over again, we have found that we can do as well in 100,000 populations as we can in giant cities such as Dallas, Las Vegas or Houston. You can still do well in metro populations smaller than 100,000. But you have to be in areas that have strong fundamentals, as the smaller you go, the less diversity you have. Smaller markets must excel in employment construction. We prefer markets that are “recession-resistant” with major employment in healthcare, education and government sectors, and not reliant on one private sector employer. We also look for markets that have high single-family home prices and apartment rents. You can prosper in a small market of 20,000 people, if the median home price is $150,000, the three-bedroom apartment rent is $900 per month, and the top ten employers are well diversified and stable. At the same time, you can do poorly even in a giant metro if it has weak housing prices and an anemic economy with high housing vacancy rates. The textbook example of this is Detroit, which fell from 1,850,000 population in 1950 to 677,000 today – and took everything with it. It was even the largest municipal bankruptcy case in U.S. history. While giant metro populations are great, they are widely overrated. All you need is a population of 100,000 to do as well as a population of 10,000,000. Not to offend those who live in giant cities, but simply stating a fact. 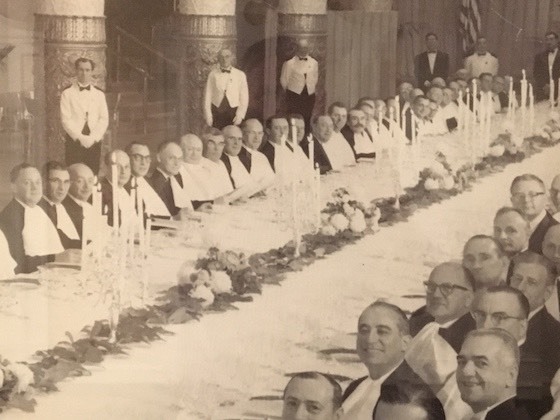 Has there ever been a more jovial group of industry veterans than the unique fraternity of mobile home park owners? In most every other industry, such peers look at each other as rivals locked in a life-or-death battle. But mobile home park owners, for the most part, are extremely friendly and helpful and regularly aid their competitor just down the street, sharing information on everything from home rehabbers to collections attorneys. So what makes them so friendly? Mobile home park owners rarely meet anyone who is a park owner in their personal lives. They never run into mobile home park owners at PTA meetings or neighborhood events. So when they see one it’s a rare and valuable sighting, kind of like a birdwatcher seeing an endangered bald eagle. Each park owner is seen as an immediate ally in the quest for affordable housing. Of course, another reason that mobile home park owners get along well is that they really do not present a danger to each other. Since it costs $3,000 to $5,000 to move a home, coupled with the fact that pre-HUD homes (1976 and older) can’t even be moved, and homes from the 1980’s and even 1990’s can often fall apart in transit, there is little chance that one park owner’s customer will move down the street. In addition, most mobile home park rents are roughly the same, and all parks have their own unique attributes so it’s not really a commodity business. As a result, most park owners look at their peers as sources of information and companionship, and not enemies. It is not uncommon for park owners to share information on everything from vendors to legal issues. Another key component to the camaraderie of mobile home park owners is the high concentration of the Greatest Generation and Silent Generation members. These are the people who built America and are the bedrock of good role models and morality. They feel obligated to be charitable and inclusive because that is a part of their nature. Everyone in the mobile home park industry has a story that involves sage advice from an “old timer” owner who basically saved the day for them. We believe that a bigger threat to the U.S. than the affordable housing crisis is the constant reduction in the number of these individuals and their role in shaping the behavior and success of all Americans. How can you get any park owner energized? 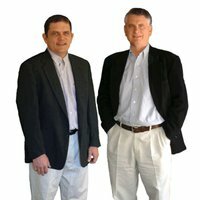 Start a discussion on the difficulty in getting titles to homes, or the craziness of the SAFE Act, or how ridiculously low our rents are vs. all other forms of housing. There are a handful of topics that get all owners up in arms, and any forum that addresses these items is certain to cause mass participation. That’s why it’s not hard to launch any group of park owners into discussion – they are passionate about the industry and the threats to it, as well as the promising possibilities. You will never find a group as charitable with their time, or as friendly and inclusive as the fraternity of mobile home park owners. If you have not experienced this camaraderie, then take a more active role in your state MHA or the national MHI – or simply call the owner down the block. When the Journal of Manufactured Housing ceased operations at the end of 2016, it meant that the MH industry had no publications of any stature, other than this newsletter. That’s when Kurt Kelley decided to step into the publishing business and bring out the Manufactured Housing Review magazine, which took its place. We write for MHR every month, and are big fans of having a publication that is fair, balanced, and inclusive that appeals to community owners, dealers and manufacturers alike. As a service to our readers, we are now going to be offering the link to this publication every month in our newsletter. Of course, it’s absolutely free and if you see an article you like feel free to share it. We think that it’s a great publication and serves the industry well as a flagship piece of journalism. To see this month’s issue, click here! I nearly turned my first mobile home park into 83 little cottages that look like the photo shown above. 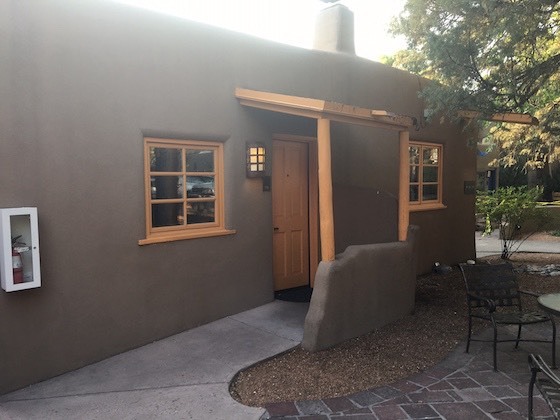 I was going to cover my old flat-roof trailers with stucco, secure log segments below the roof line, paint the doors turquoise, and re-name the property “Little Santa Fe”. Would that have been a good idea? Probably not. So what lead me to potentially ruin my investment by sinking hundreds of thousands of dollars into a plan that nobody would even appreciate? I officed out of that first mobile home park from 9 to 5, Monday to Friday. Why? Because I thought it was a good way to learn the industry. But the truth is that having the owner too close to some residents is not typically a smart move. Not only do you simply get hit up for money all day, but you really create little value by sitting there. Instead, you get bored and start dreaming up all kinds of make-work projects such as converting a mobile home park into a New Mexican village. Or the time I re-painted the laundry building exterior three times because I was unhappy with the shade of green I had selected. Perhaps I also sat in that park’s office simply to create a job for myself. I had just sold a business, and I was used to sitting behind a desk all day – not one at home. That little park office seemed like a good excuse to go to work and pretend I was working hard. Of course, there were few residents even in the park during the day (most of them being at work) so I did not even have any meaningful work to actually do. So I invented projects that interested in me, such as being the pioneer in designing potential Santa Fe resorts inside mobile home parks. When you go to a good Italian restaurant, it always seems that the owner walks table to table and makes sure that everyone is happy. The owner buys the meat, and tastes the sauces. They unlock the doors and shut them down at night. As a result, the owner has a huge value add to the business by being there. However, the average mobile home park has absolutely nothing in common with an Italian restaurant. The owner’s only value add is at a 5,000 level, making strategy moves and buying the park to begin with. Day-to-day operations are not much of a value add for an owner, and are best delegated to the property manager (something the Italian restaurant owner can only dream about as they open the door at 6 AM when it’s 10 degrees outside). Every owner will, from time to time, ask themselves “how can I personally be more of a value add to this property with my time?” The answer is … resist that impulse. Allocating money to install new playground equipment is great, as is fixing those potholes. But when it comes to what you can accomplish on-site by simply being there more, the truth is that you don’t really offer much, and certainly nothing that a good community manager can’t provide. If you want to feel needed and interact with customers, perhaps you should open an Italian restaurant. Grass is great stuff. It looks nice, cushions falls, and provides a habitat for all types of living things. But it can also present a challenge in many mobile home parks, particularly in areas where rain is scarce or undependable, or there is little room for irrigation. The photo above is from a property in New Mexico, which has elected to replace the grass with artificial turf. So what are the alternatives to grass that we are seeing in some mobile home park properties? It is very common in many Southern California parks to have the entire park footprint paved in asphalt, with large concrete pots dotting the landscape which contain the only vegetation, which is typically a pyramidal evergreen shrub. This eliminates the need for mowing altogether, and the only irrigation needed is to water the pots once-a-week. Although this sounds jarring to those who have not seen these parks, it actually looks extremely professional. The big drawback is that you have an extremely large paving commitment every few years, as you have basically converted the entire park footprint into a road, with the same issues of gatoring, potholes and sealing. In those markets where it simply never rains, the better alternative to grass is often simply covering the earth with rocks and desert vegetation, such as cactus. This eliminates a huge range of problems, and takes the lack of rain and makes it attractive and the proper setting with the surrounding environment. This is very common in parks in Arizona, for example. The biggest downside to this approach is simply the fact that it’s not the American dream of a nice green lawn, and that these type of landscapes still require continual maintenance in the form of removing leaves and debris – as well as weeds – that get stuck in the rocks. Some park owners have elected to simply remove their natural grass and replace it with artificial grass surfaces. It costs about $2 per square foot to go “unnatural” with your green space. If your park has a 10’ x 20’ greenspace at the entrance, that would cost $400 as a long-term fix. Of course, it costs money to maintain these artificial surfaces, such as vacuuming and cleaning, and they don’t last forever. 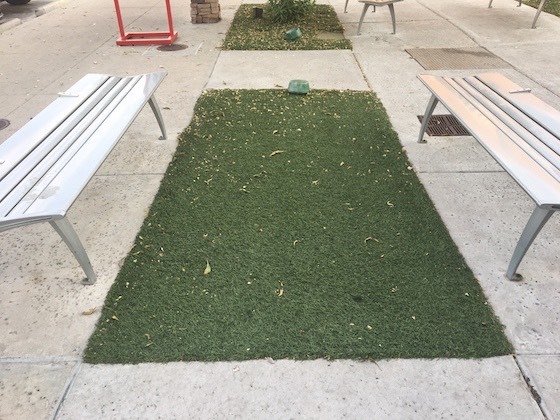 But some park owners should start to look at this option in certain instances, as the cost for artificial turf has come down substantially in recent years, and is now sold on-line as well as at every big box retailer. Grass is great, but may not be the best choice for every property. Examine your options before you make a life-long commitment to that natural green stuff. This is the remnant of a former beauty shop that was found in our clubhouse in a mobile home park in Illinois. At one time, many park residents probably had their hair done here. While we think of clubhouses as being the domain of the manager and perhaps a meeting room, many of the 1950s and 1960s clubhouses housed a range of other options, such as this hair emporium. In one community we own in Kentucky, there’s a liquor store in the old clubhouse. And I’ve seen everything from restaurants to classic car dealerships in some of the ones we passed on. What unusual things have you seen in old mobile home park clubhouses in the past? If you have any unique sightings, let us know. This is a photo of a mobile home that we just obtained as abandoned as abandoned property. Obviously, the resident had a bit of an issue with hoarding (or trash removal). Sure, it’s a shocking sight. But it’s also a reality in many cases that you need to learn to deal with. And it’s not just a mobile home park issue, as there are entire television shows devoted to hoarding in single-family homes. So how do you deal with this type of situation? 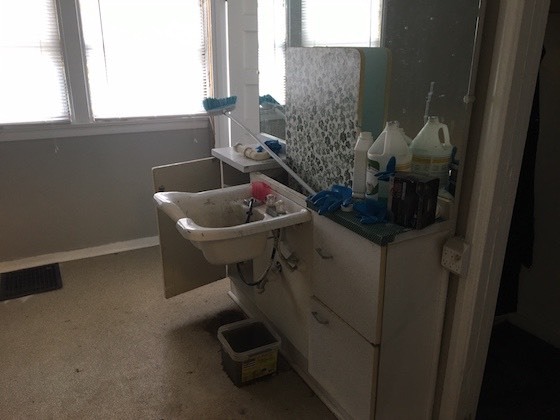 You cannot really get a handle on mobile home condition until you have the home cleaned out. 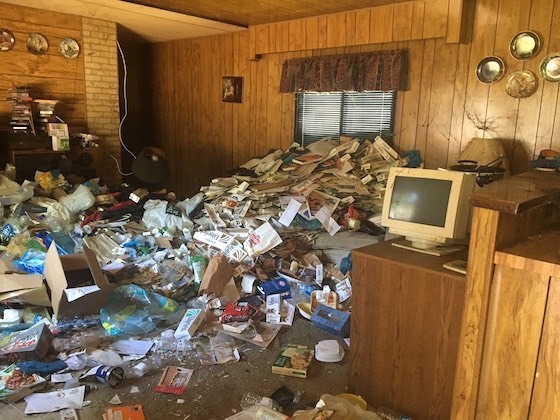 In the case of this home, you can clearly see that the basic home is in great condition if you look beyond the clutter. 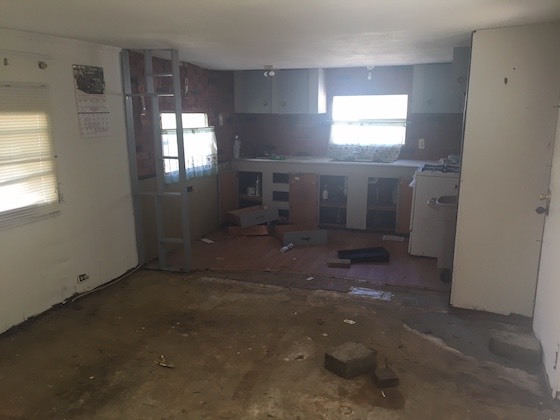 Our system, when confronted with a vacant home, is to grade it on an “A” to “F” basis, with “A” being a home that needs nothing but cleaning to “F” which is a home that needs to be removed from the community. We can’t make this determination impartially when we see this disturbing image. Essentially, this pile of junk negatively flavors our viewpoint, just as bad pet odors that make you sick do when thinking about what’s needed in any apartment. Just as piles of debris block our scientific approach to grading homes, it actually stops us from evaluating what’s going on. We can’t walk on the floor to see if there are weak spots, nor can we inspect walls for holes or signs of water intrusion. So hoarding messes not only disturb our perception, they even disturb our physical ability to inspect. The good news is that cleaning these type of issues out is not expensive. You can clean out this entire home for probably around $200 – which amounts to one day’s work. Sure, it’s nasty work, and one that you are not going to want to do yourself. But it’s not like you’re pouring thousands of dollars into a home that you later decide to tear down. Where do you find someone to do this? Typically your community manager knows someone in the property that would be more than willing to help for some additional spending money. A project like this might even offer an exciting challenge. Homes filled with piles of debris are a common reality in all forms of housing, from single-family to multi-family. But it’s not a huge deal as long as you clean them out before even attempting to analyze what to do with the home to put it back into a functioning solution to the affordable housing crisis. What Would You Do With This Opportunity? To many people, the thought of renovating a mobile home is filled with a complete lack of excitement. But for others, this is viewed as an opportunity to embrace their more creative side. Many look at a vacant mobile home as a canvas to build a better product, and to create a better living space for the future resident. So what can be done with what you see in the above photo? The starting spot to designing a mobile home is typically a choice of the basic palette of paint and flooring choices. For many owners, the best way of making this selection is to go to a mobile home dealership with a paint chip book in hand and matching exactly what is current in these new homes. Literally copying the ones you like exactly. Remember that most of the manufacturers these days – such as Clayton – hire some of the best interior designers in the U.S. If you went to a home show in Tunica or Louisville this past year, you know how high the level of play has become at the big manufacturers. It’s a whole lot easier – and safer – just to piggyback off of their color choices. You will find that the most common flooring in the new homes has become a wood-surfaced linoleum, and that’s a great thing as it keeps out pet odors and water intrusion and gives the resident the ability to supplement with an area rug of their choosing. Same story as the color choices: copy the cabinet designs of the new homes. Right now that means painting them dark and putting brushed nickel knobs on them. Most owners are not going to replace the actual cabinets, and we would agree. That’s a cost that no resident will pay for in the form of higher rent. However, you can still paint them or, if needed, replace the cabinet doors. One of the new trends in mobile home decorating is to paint one wall with an “accent color” which is typically a darker shade of the underlying paint color of the home. This can bring greater visual interest to the somewhat boring single room that typically houses the living/dining areas. Another common practice on new homes is to install a large mirror or two. These help to make the home interior appear much larger, which is always a good idea in any mobile home. One overlooked design addition to any home is the creation of window treatments. This can be in the form of either swags at the top of the window, or full draperies. Again, you would be best served to mimic exactly what you see in the new home models, and take the design risk out of the picture. These window treatments make the home look much more polished and accents the windows to create visual interest. Don’t look at the renovation of a park-owned home as a chore, but instead an opportunity to make the home better than ever and a great place for your resident to live. Bring out your creative side, and you’ll find that you may actually look forward to home restorations going forward. This is a pavilion inside a mobile home park from the 1960s. Just a roof with four steel posts. But this may well be the clubhouse of the future. So what’s so great about these type of structures? In a recent Time magazine article titled “The Home of the Future”, the writer raved about the fact that mobile home parks are like “gated communities for the less affluent”. The author noted that one of the great assets of mobile home parks is the fact that residents are not transient and offer an environment of mutual trust and respect. To create this type of atmosphere, it’s important to have opportunities for residents to meet and bond. These type of pavilions provide shelter from the sun and rain, and are adaptable to a large number of gathering themes. Pavilions also have no heating or cooling costs. With the average monthly cost of hearing and cooling the average clubhouse around $700 per month, removing these costs save around $100,000 in park value at about an 8% cap rate. And that does not even include the cost of initial installation of replacement of existing air and heat units, which are thousands of dollars. When residents have to rent a clubhouse, they can only do so on certain days and times. In addition, they have to pre-plan the event, and then worry about any potential damage to the clubhouse that a guest may cause. The pavilion, however, offers unlimited access any day of the week, can be utilized spontaneously, and is worry-free from potential guest damage. A pavilion can be used by residents of all ages to hold gatherings, from children’s parties to adult bridge games. It is a multi-tasker that knows no limitations. You can put several picnic tables with benches under the pavilion and you have an all-weather eating or activity center. A pavilion can literally hold an event endlessly without any needed repairs or cleaning. While pools and clubhouses require constant attention, pavilions are more self-cleaning and need virtually no repairs, other than the annual paint job. The steel and concrete that makes up the pavilion can last forever, and still look great a century from now. 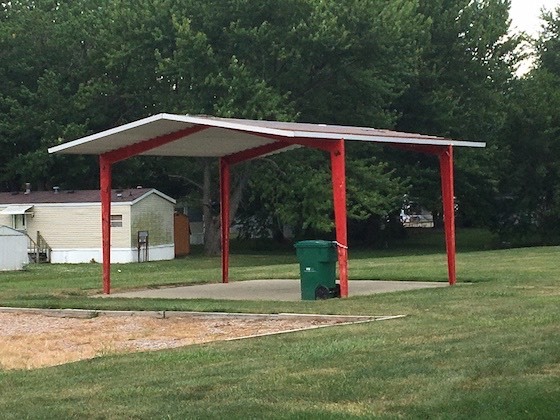 In an age in which mobile home park community-building may be one of the most important amenities, the pavilion may be a focal point for such activities. It is a low-cost, easy-to-maintain gathering space for all ages.